Celebrate the new lunar year with Chingay, Huayi, and the Wan Qing Festival of Spring. 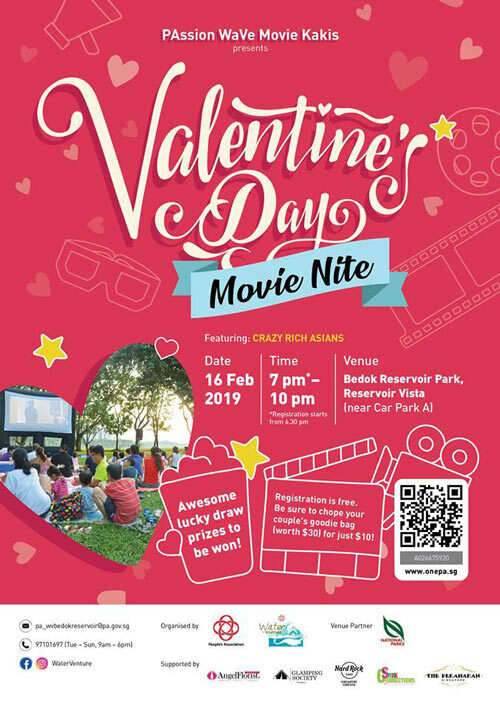 Or, go on a (free) Valentine’s movie date at Bedok Reservoir Park, and discover the lesser-known stories of our past at TFOOPFest. This Valentine’s Day, let’s all learn to love better. This national event is the largest street performance and float parade in Asia with vibrant floats, dancing dragons, prancing lions, stilt walkers, wushu masters, performers of different races in their traditional costumes and much more. Admission to the Carnival (area behind Singapore flyer) is free. Huayi has become one of the most warmly embraced arts festivals in Singapore. Spread over 10 days, Huayi inspires and touches audiences through a diverse showcase of ticketed and non-ticketed programmes across various art forms including theatre, dance, music, visual arts and more. The February edition of Singapore's favourite family market is here. Browse the fantastic array of stalls while the kids play. Gardeners' Day Out is a day of gardening and lifestyle activities for everyone. Highlights include a gardeners' market, food bazaar, free talks and demonstrations, free garden tours of HortPark, and kids' craft activities. Fancy a unique Valentine's Day weekend evening date with your partner? Catch the latest Hollywood Blockbuster 'Crazy Rich Asians' in an outdoor screening at the scenic Bedok Reservoir Park waterfront. Admission is free and walk-ins are welcomed. Wan Qing Festival of Spring 2019 presents an exciting line-up of festive offerings suitable for all ages, including auspicious lion and dragon dance performances, a mass lohei, evening concerts, heritage tours and trails, and craft activities for the little ones. Join SAM for a weekend of fun and celebration as their buildings go bare for the SAM revamp. There will be multimedia, immersive and insta-worthy activities on every level of 8Q, and an animated GIF photobooth for your very own Mad for SAM souvenir. Then party into the night with DJ collectives Pushin'On and bands from Middle Class Cigars. Singapore’s history will come to life in a different way with The Future of Our Pasts Festival (TFOOPFest), a month-long festival that explores lesser-known stories of communities and places of the past and present, reimagined through artistic mediums. To enable more Singaporeans and tourists to enjoy the parade, Chingay celebrations will continue at the following venues: Chinatown (17 Feb), Marsiling - Yew Tee GRC (23 Feb), Tampines GRC & Our Tampines Hub (24 Feb), Nanyang Division (2 Mar), and Wisma Geylang Serai (16 Mar). Visit their website for more details.